Sharon Speedy has been with Foley, Foley & Pearson since 2002. She assists the attorneys and clients in all aspects of estate planning and takes the lead in handling office administration issues. 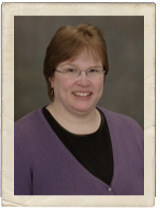 A long-time Anchorage resident, she is happily married to Walter, and the proud mother of two sons, David and Jason. She is active in her church, and enjoys reading, crafting, and spending time with her family. We appreciate Sharon’s eye for detail and real compassion for people as she works with our clients.